Why Sweets 4 Treats Is a Great Investment? You will receive support from the Sweets4Treats franchiser in many ways. Sweets4Treats will provide ongoing training and support in many areas critical to the success of the franchisee’s business. Sweets4Treats will coordinate development of advertising materials for all members of the franchise network. It will also supply franchisees with marketing plans and materials. 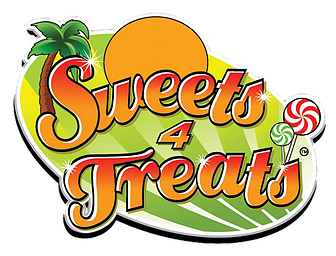 Sweets4Treats will negotiate quantity discounts on behalf of all its members, passing some or all of these savings on to the franchisees. Sweets4Treats will continue to research methods and techniques for franchise operations that enhance unit-level profitability. Interested in our candy Franchise Opportunities? Get started on the process of setting up your own Sweets 4 Treats franchise location today!